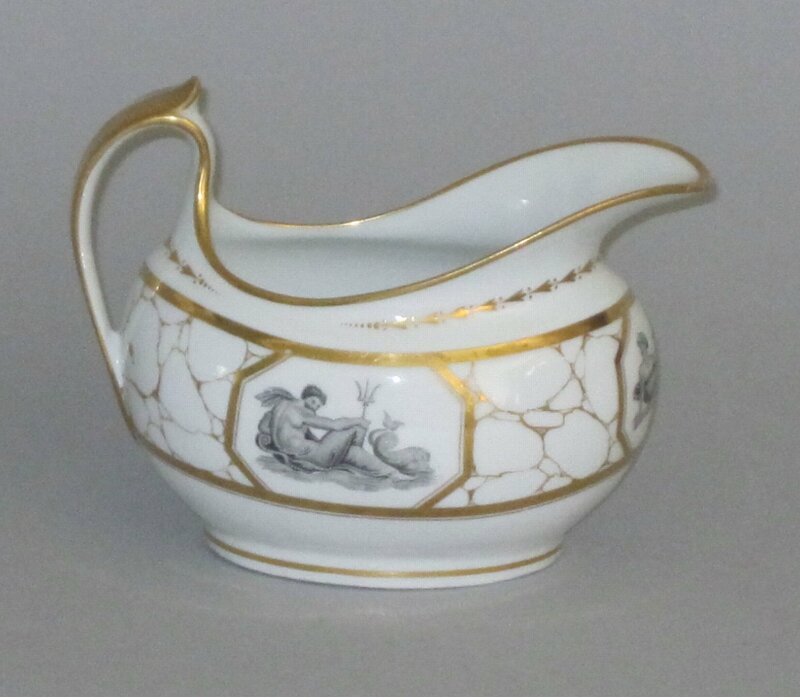 A FINE BARR FLIGHT & BARR WORCESTER PORCELAIN JUG. CIRCA 1804-13. Having gilded marbled decoration inset with three monochrome panels depicting classical figures.